MAD have just received planning approval for our proposed alterations to a bungalow at Cartmel Crescent, Chesterfield. 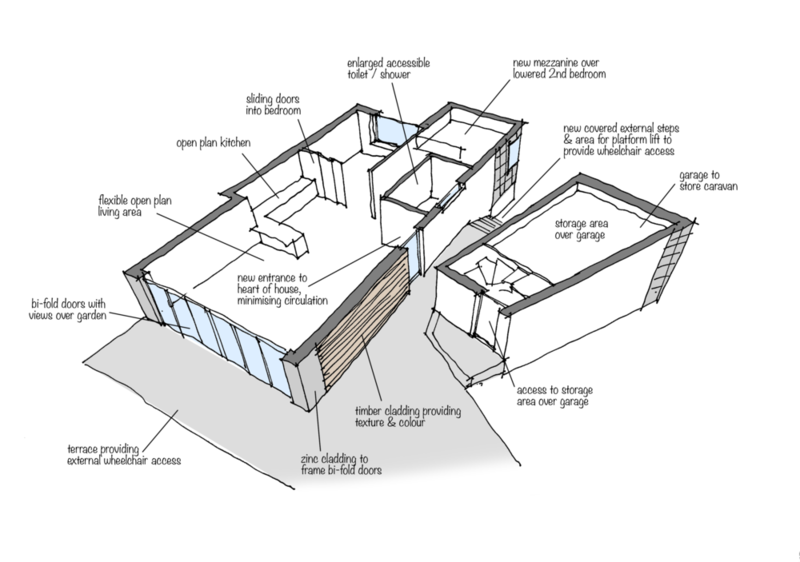 The scheme includes the complete renovation of a bungalow, to create an accessible low energy home. Works to the property will include a new rear extension and alterations to the internal layout to provide an adaptable layout. An additional extension to the front of the property will create an mezzanine floor providing extra space. The existing garage will also be extended providing additional storage outside of the property. Between the property and the bungalow a new covered level access entrance platform will be formed, with potential for future lift, to provide simple access to the property. The energy usage of the property will dramatically reduced through the introduction of external wall insulation, high performance glazing and LED lighting. 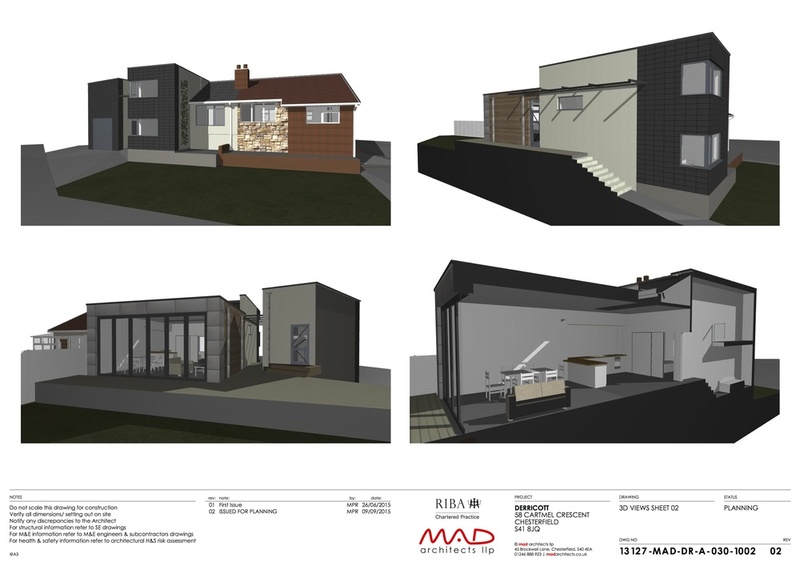 MAD have just received planning approval for our proposed extension to a bungalow on Walton Back Lane, Chesterfield. The scheme includes the complete renovation of the property to increase the energy efficiency along with a new rear extension creating a modern living dining area that features a huge picture window over looking the garden. Work is due to start shortly and completed in early 2016.